You’ve heard of the Yeti, a maybe-mythical creature who reportedly dwells in the Himalayas but what about the yeti crab? Named for its furry, hairy body, the yeti crab is a unique little crustacean that was discovered in 2005. This peculiar crab has a few things that make it unusual when compared to other crabs, starting with its near lack of eyes, its location, and its hairy body. Scientists speculate that their hair is covered by bacteria that they eat. One could even say that they grow their own food. The first discovery of the yeti crab occurred when marine biologists were exploring the hydrothermal vents, south of Easter Island, along the Pacific-Antarctic ridge. 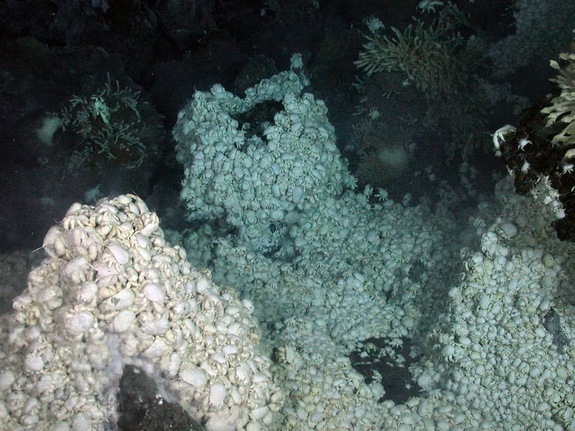 The discovery was made by Robert Vrijenhoek from the Monterey Bay Aquarium Research Institute and Michel Segonzac of the IFREMER (Institut français de recherche pour l’exploitation de la meri). The team was on aboard the research submarine Alvin off the research vessel Atlantis to study how the animals who dwell near hydrothermal vents are able to colonize other vents that are located thousands of miles away from them. The research was being conducted by studying the DNA of the animals located near the hypothermal vents throughout the Pacific Ocean. 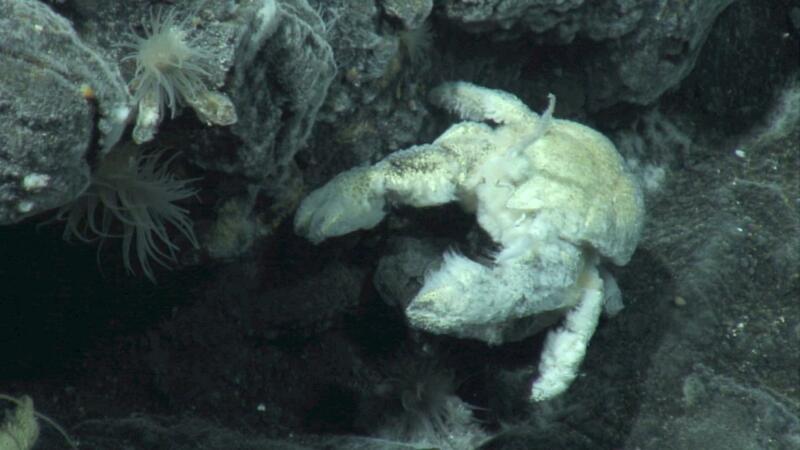 Segonzac was on a dive one day when he spotted the hairy crab, who measured 15 cm long, and was on the seafloor. When subsequent crabs were spotted, they were collected from their location of more than 7,000 feet. There amongst the warm water flow, the crabs were hiding near rocks. The scientists spotted the crabs holding their claws out over the water from the hyperthermal vents, and believe the yeti crab actually “farms” its own food, cultivating the bacteria that flourishes there. The existence of the yeti crab was publicly announced in 2006, a year after its initial discovery. The oceanic discovery wasn’t just of a crab with a mutation, but of a whole new species. The new species, Kiwa hirsuta, was also part of a new family, which became known as Kiwaidae. 2005’s discovery of the first Yeti crab was also the beginning of deepening our knowledge of the crustacean world, as a second species, Kiwa puravida, was found in 2006. Kiwa puravida was discovered at 3,300 feet off the Costa Rica coast, by Andrew Thurber, William J. Jones and Kareen Schnabel. The researchers posited that Kiwa puravida feeds on symbiotic proteobacteria, cultivating it on their claws just like the Kiwa Hirsuta. The species’ name means “Pure life.” A third species, Kiwa Tyleri, was found in Antarctica in 2015. The third was discovered by a team led by University of Southampton’s Sven Thatje, and was named after a deep-sea biologist. The team happened to come across piles of the crabs while operating a remote vehicle along the seafloor. 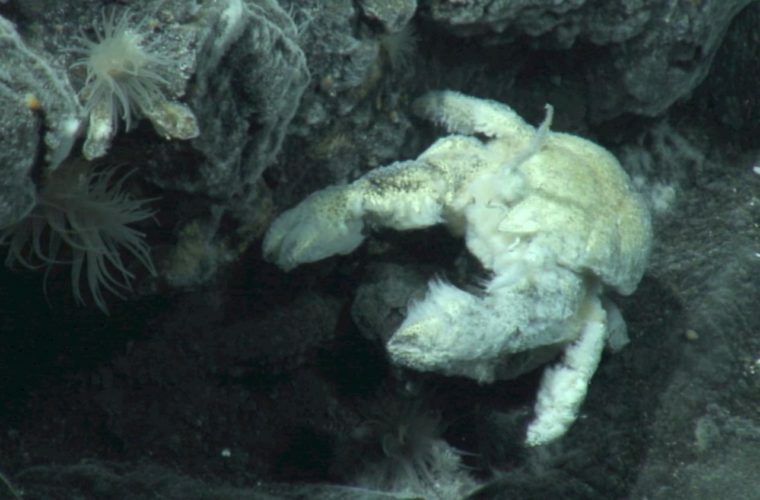 This species was found over 8,000 feet below the surface, and researchers discovered the crab lives tightly packed in an area between water barely above freezing and the hypothermal vents that may have water with a temperature of more than 700 degrees. These rough conditions mean they have to be careful to stay out of the scorching or freezing water, so they live packed like sardines. Researchers found that as many 700 yeti crabs may live in the small space. These conditions aren’t ideal and many of the females who leave the “pile” to lay eggs either come back with damaged fur, or don’t come back at all. We may very well discover even more yeti crabs, but we’ll have to wait and see.